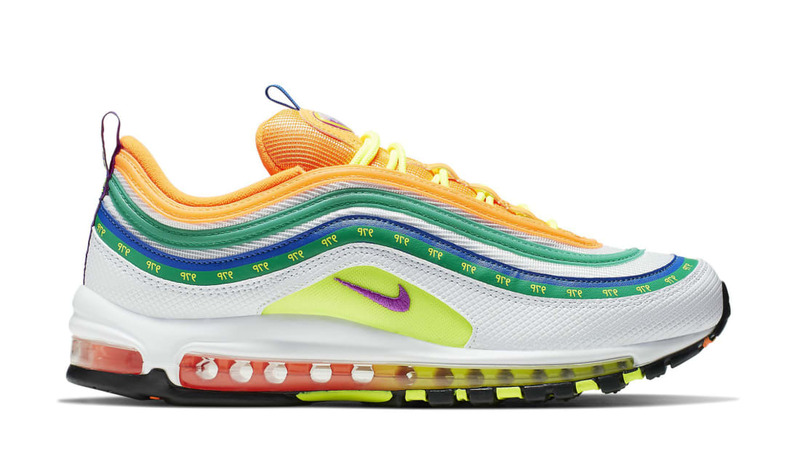 Nike Nike Air Max 97 On Air "London Summer of Love"
Nike Air Max 97 On Air "London Summer of Love"
Created by Nike: On Air London winner Jasmine Lasode, the Nike Air Max 97 features a white-based leather upper with vibrant green, orange, and yellow accents throughout, which sits atop a white midsole and a black outsole. Release date is Apr. 13, 2019 at a retail price of $200.